State Representative Ryan Spain will hold ‘Open Office’ Hours in Chillicothe on Tuesday, October 17th. 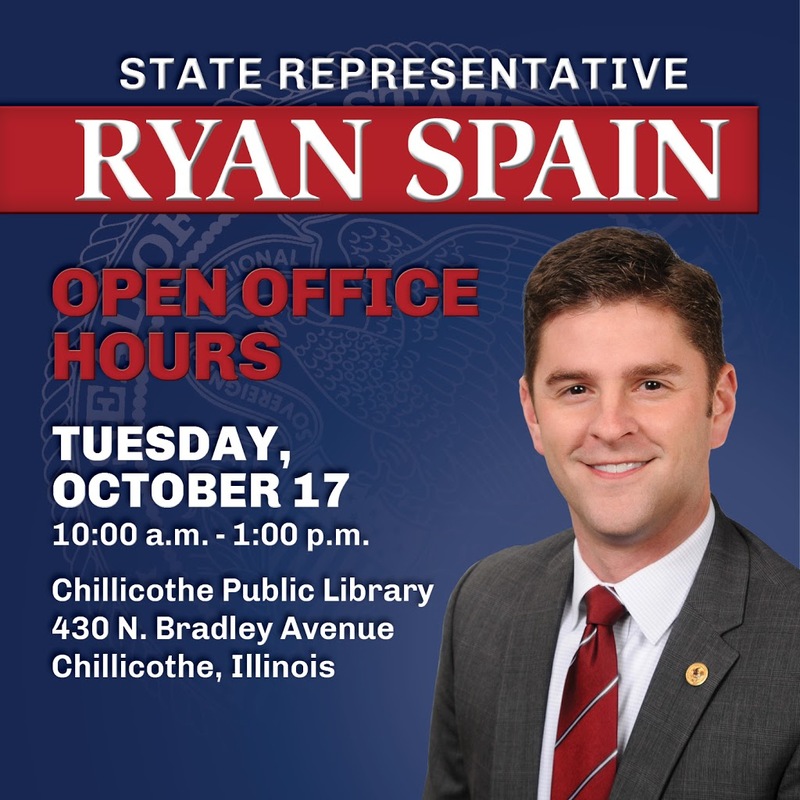 Rep. Spain’s ‘Open Office’ Hours will run from 10:00am until 1:00pm on Tuesday, October 17 at the Chillicothe Public Library, 430 N. Bradley Ave., Chillicothe. No appointment is necessary. “I am thankful to the Chillicothe Public Library for providing a venue for area residents to meet with those who serve them in elected office. It’s one of the many great services the Chillicothe Public Library is providing to the community,” said Rep. Spain. Rep. Ryan Spain can also be contacted about state issues at his Peoria Legislative Office located at 5407 N. University St., Arbor Hall, Suite B, Peoria, IL 61614. The telephone number is 309-690-7373 and Rep. Spain’s e-mail address is repryanspain@gmail.com.